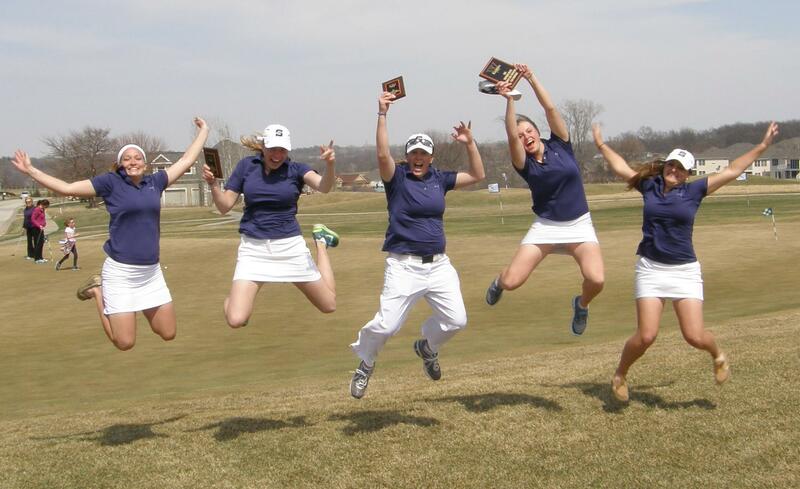 Brittany McNett-Emmerich, a junior from Madison, Wis., led the way as the University of Wisconsin–Stout women’s golf team finished first out of six schools at the Wartburg Spring Invitational on April 18 and 19. As a team, the Blue Devils shot a total of 317 on Friday, the fourth lowest round in school history. Leading by just five strokes after the first day of the Invite, the UW–Stout golfers ran away with the victory on day two, shooting a 322. This was the seventh lowest round in school history for a total score of 639 en route to a 22-stroke victory over second place University of Wisconsin–Eau Claire. Traditionally, the Blue Devils have played well on the par-72 Centennial Oaks course, as four of the top 10 scores in school history have happened there. McNett-Emerich, who won with a total score of 158 (78 on Friday, 78 on Saturday), was one of three Blue Devils to place in the top five. Sophomore Maddy Paulsen from Apple Valley, Minn. finished third (77-81–158), and junior Megan Ramp from Batavia, Ill. was fifth (80-80–160). Juniors Allison Van Heuklom of Middleton, Wis. and Mariah Chesley from Mankato, Minn. also finished in the top 10 for UW–Stout. Van Heuklom was eighth (82-83–165), and Chesley was 10th (82-85–167). The Blue Devils will be off until May 3 and 4 when they travel to Eau Claire, Wis. for the UW–Eau Claire Spring Invitational.